I can’t say how old this list is. I saw them all in the 1970s in police training. This list. It’s not in any order. If a person will stop and think about it, every point can apply to their safety. 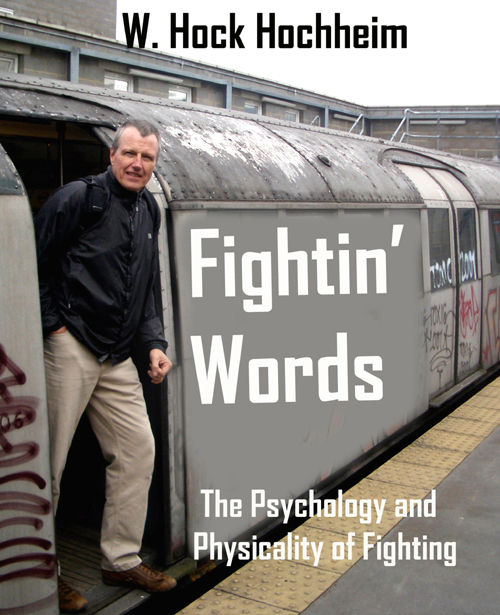 Many of you out there think some of these topics are “new” and recently invented by young “geniuses.” Like the pre-fight indicator lists which has reached new fad-like heights of late. None are new. I do think they have some merit as I have seen them unfold before my eyes. But they are not as important as one might think when you add criminal and military ambush into the equation. But the police spend an inordinate amount of time intervening, interviewing, investigating and prowling into areas regular people shouldn’t do or go and interacting with people. So too do soldiers and Marines going to house-to-house, village-to-village in the last 20 years. Knowing these, essentially biological tip-offs and learned tricks like sucker punches and so forth, can be helpful. 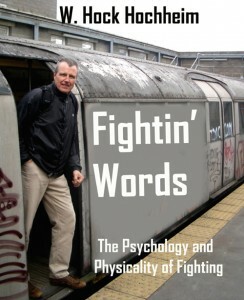 I have a while chapter of these pre-fight tips in my book, Fightin’ Words. I started collecting them in 1973 from a class in U.S. Army military police academy. Numerous tips are instinctual for many, but the list attempts to stick a label on it – which is fine and can be educationally important. New people are learning old stuff all the time and “old,” “been-around” people need reminders, maybe through new ways (as well as learning new things too). People are constantly ridiculing police actions and police training. The root, the backbone, the steering for quality has been present for decades and decades. Apathy, manpower and budget problems get in the way. It’s left to the individual officer to spend, train or to stagnant. As with a citizen. Learn, train or stagnate. Use it or lose it. Ignorant and or, Perishable. 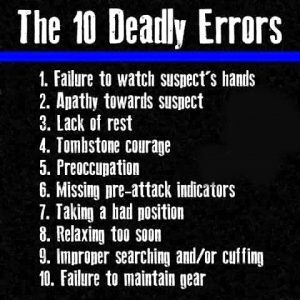 People – cops, may tire of seeing the list and their eyes might brush right over the poster in a blur after awhile, as it appeared on many a squad room wall decades ago. 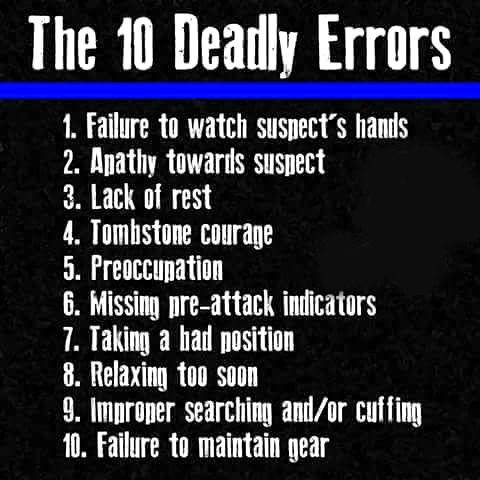 All of the “fatal mistakes” are important. All are old pieces of advice you can live or die by. May all good people live by them.